RG type coaxial cable is produced according to SASO IEC 61196-1. The center conductor shall be 21% copper clad steel with a minimum tensile strength of 440MPa and appropriate conductivity to meet the electrical characteristics indicated in Table No.1 and Table No.2. Gas injected foamed polyethylene; it shall meet all applicable requirements of ASTM D 1248, shall be an insulating grade virgin polyethylene and shall not contain reground, reprocessed or recycled materials. It shall be applied concentrically and bonded to the center conductor. Laminated shield tape (LST). The LST shall be constructed of two aluminum foils laminated to a strength member and a bonding resin on one side. The LST shall overlap the dielectric circumference by 10 percent minimum. The braiding wire shall be a round aluminum wire consisting of 34 AWG(0.0063±0.01mm) using an aluminum alloy of 5056, 5154A, or 5954. Laminated shield tap (LST), the LST shall be constructed of one aluminum foils laminated to a strength member. The LST shall overlap the braid circumference by 10 percent minimum. A polyvinylchloride (PVC) compound must be used for outdoor and indoor applications. The jacket compound shall be UV stabilized, as defined in UL 1581, paragraph 1200, reference standard for electric wire, cables and flexible cords. Dimensions are indicated in Table No. 3 Jacket colors are indicated in Table No. 4. When it is required, the messenger wire shall be a zinc coated (galvanized) carbon steel wire, as specified in ASTM A641. Messenger diameter shall be 0.051±0.002 inches(1.30±0.05mm). It’s minimum breaking strength shall be 170lbf (77.1kgf). The jacketed messenger shall be connected to the coaxial member with a web that must allow separating without leaving any visible signs of splits, holes or grooves. 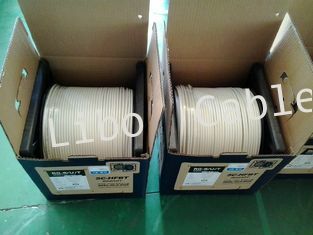 RG6 tri-shield cable is used as a distribution cable for indoor CATV, CCTV systems and as a connection cable for satellite systems where lower attenuation required. RG6 tri-shield 60% coverage cable has outstanding anti-interference effectiveness and excellent transmission reliabilities. RG6 tri-shield cable is of low cost, and it is easy to install as well. 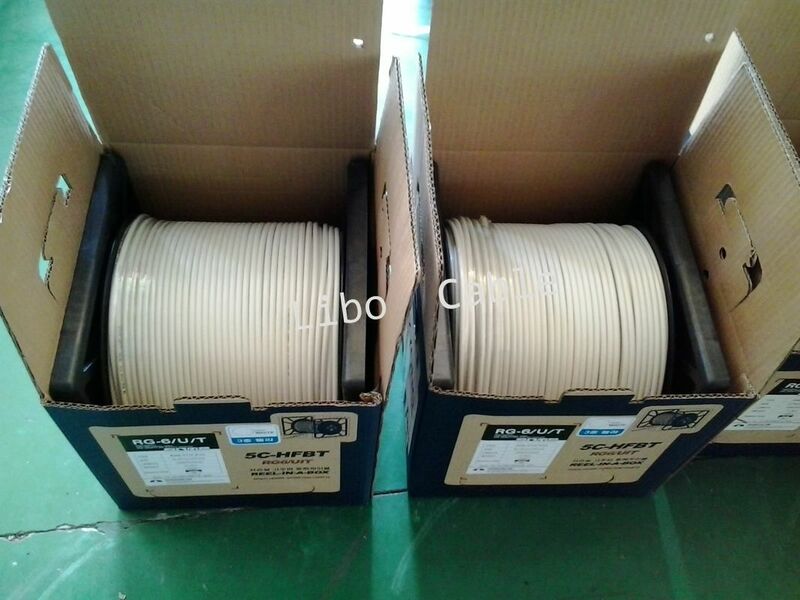 Libo cable has a stable workforce and engineering team, normal lead-time of 40’FCL is the RG6 tri-shield cable is around 10 days.